Let Kinderlou Forest get you Back in the Game! The Director of the Kinderlou Golf Academy PGA Professional Bob Burk. A former captain of the Georgia Southern University golf team and U.S. Amateur Quarter finalist, Bob graduated from GSU with a degree in Journalism. 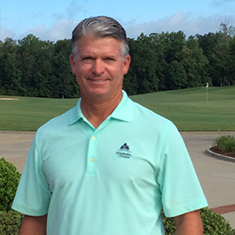 After stints at Palmetto Dunes Resort on Hilton Head Island, Healy Point in Macon and Stone Creek Golf Club here in Valdosta, Burk became Kinderlou’s Director of Instruction in April, 2016. 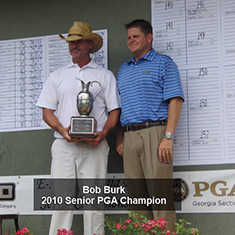 As a senior PGA professional Bob won the 2010 Georgia Senior PGA championship, the 2011 and 2013 Pot-O-Gold Senior Championships, and the 2013 Red Dobbins Senior Championship. 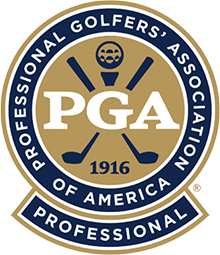 In addition Burk qualified for the Billy Peters Cup and the Mullins Cup teams and has competed in three Senior PGA National Championships. Bob credits his junior coach Jim Pringle, his college coach, Buddy Alexander and Georgia PGA instructors Gale Peterson, Danny Elkins, Charlie King and DeWitt Weaver for helping shape his teaching philosophy. “DeWitt and Buddy helped me a lot with the mental side of tournament golf. Jim, Gale, Danny and Charlie helped me understand technique better and how to help players lower their scores,” Burk says. Ask about monthly Lesson Programs! Join our mailing list to receive the latest news, updates and specials from Kinderlou Forest.